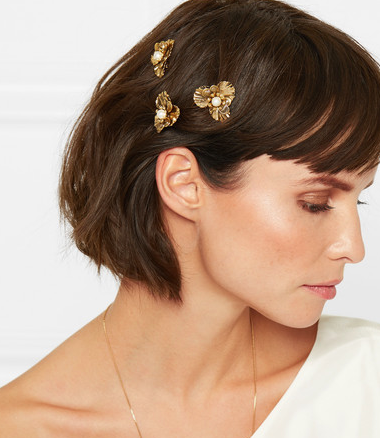 I am forever on the hunt for the perfect hair accessory to recommend to my brides. With so many on the market, from Etsey and ASOS to Net a Porter’s selection of pricier hair bling, it could be hard to decide. Here is a selection of some of my favorites and how to wear them. These Gold Plated Poppies are perfect for placing in any hairstyle up or down. They could be scattered individually around the hair or placed all together. 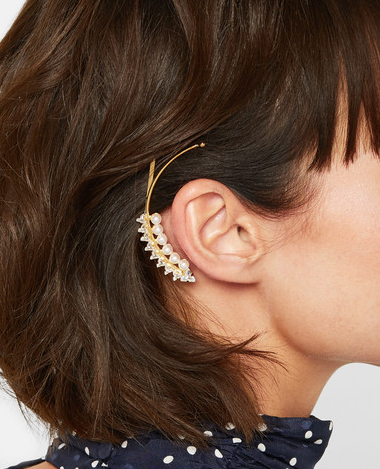 This slide/ear cuff is a super cool accessory for a bride looking for something a little different and quirky. Wearing the hair down and wavy would work best with this piece. Jennifer Behr has a selection of stunning pieces so it is hard to pick just one. 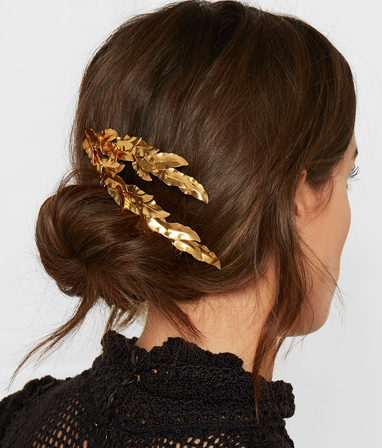 These gold plated leaves can be slid in above a chignon, twists or braids for the perfectly adorned updo. 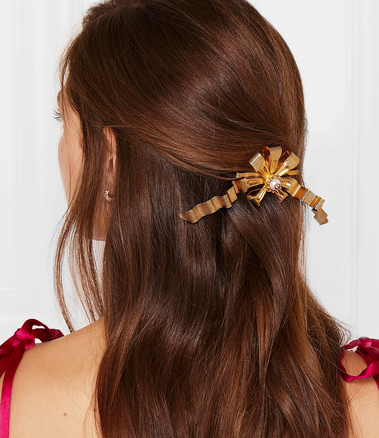 This gold ribbon is the ultimate hair accessory for a ‘cool’ bride. Wear it with half up half down hair, above a chignon or ponytail or placed above the ear with a side parting and wavy hair. 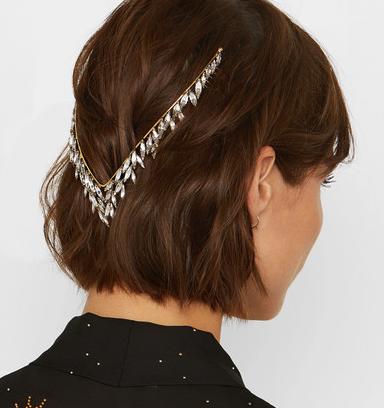 This may be pricey, but this Swarovski crystal headpiece is something very special. Designed to be worn to the back of the head, it will fit perfectly amongst braids or twists of a half up half down hair style.